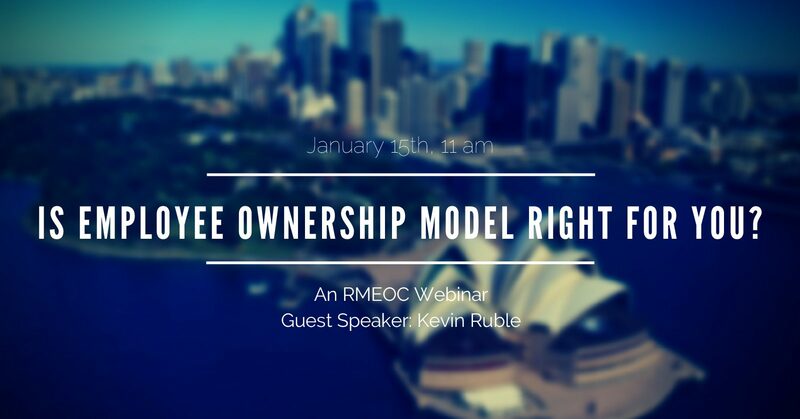 RMEOC presents “Is Employee Ownership model right for you?” as a part of our Webinar series. We are happy to announce Kevin Ruble, CEO of Caboose LTD will be leading our Webinar! He will dive into the world of Employee Ownership so you will know for certain if this is the right path for your company!